Home Inn and Suites Yorkton Blog Blog: Yorkton is a community of the arts! Yorkton is a community of the arts! The calendar is heating up here in Yorkton! Come take part in our community events and discover what a wonderful town Yorkton really is! The Yorkton Arts Council does a lot to make sure that there are always fresh, exciting new artists coming to Yorkton! On February 1st as part of their “Stars For Saskatchewan” concert series, you can see the Ladom Ensemble, a quartet that blends classical chamber music with world instruments and rhythms! Combining cello, piano, Indian drums and accordion they create a rich, deep sound that speaks to tradition and innovation at the same time. This promises to be an electrifying concert! Catch them at the Anne Portnuff Theatre February 1! A celebration of love and Yorkton’s Ukrainian heritage, The Kalyna Valentine Social will feature a live performance by Western Canada’s greatest polka band, Sloohai, as well as Yorkton’s Kalyna dancers! Enjoy a traditional Ukrainian meal prepared with love, and if you’re not too stuffed take to the dance floor after the meal to get close with someone special. It’s a cultural event you won’t want to miss! Acclaimed children’s author Miriam Körner will share the secrets you need to write and illustrate your own picture book! Everyone’s got great ideas – the trick is in making them reality, and Miriam Körner will share her proven strategies for taking your notions and turning them into something that kids everywhere will love. Presented by the Yorkton Arts Council and hosted at Yorkton Public Library, this is your chance to make good on your New Year’s resolution to finally write that book! Takes place February 9 at 4:00 PM. Yorkton is a wonderful town, and if you visit you’ll have a wonderful stay by booking a room at the Home Inn Yorkton Hotel. 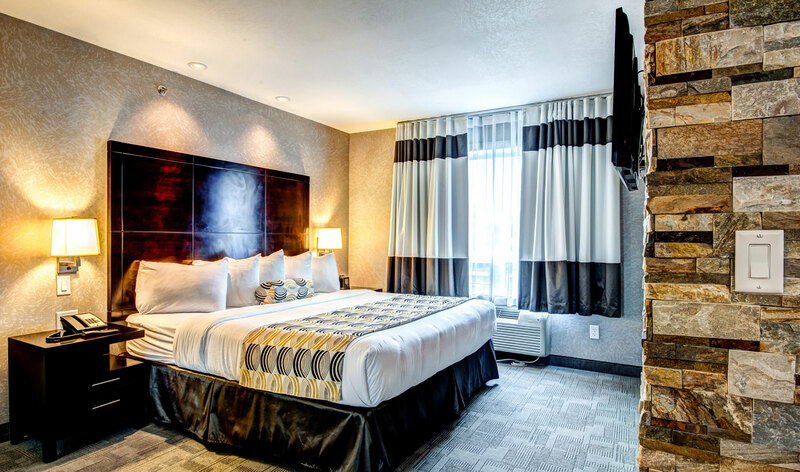 With comfortable rooms, affordable rates complimentary breakfast and wi-fi, we’re your prairie home away from home!